Tent Cabins were lived in during the 1860s forward wave of the American westward expansion. They are still popular today, lived in at camp, and are as American as apple pie. Tent Cabins for the backwoodsman and woodswoman. 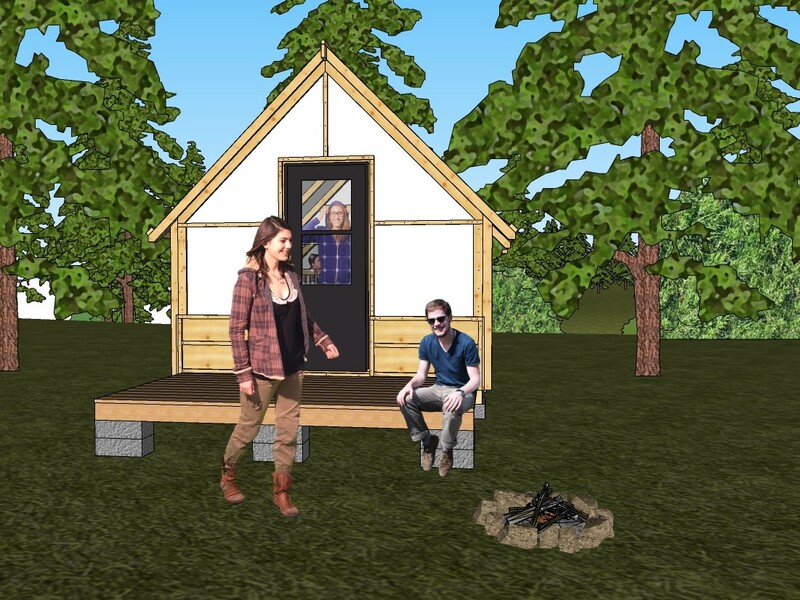 Affordable camp-ready tent cabin that can serve many purposes for camping, glamping, and outdoor recreation. 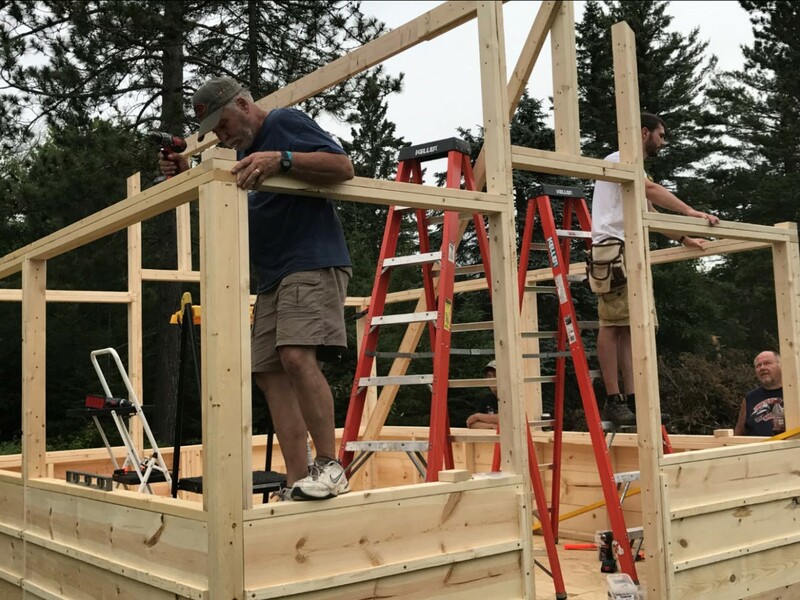 When you own one of my tent cabins, you will enjoy the experience and comforts of ArchiTENTure and become part of a growing family of tent cabin owners. Tent Cabins were lived in during the 1860s forward wave of the American westward expansion. They are still popular today, lived in at camp, and are as American as apple pie. My Tent Cabins are ideal near a lake, river, or on the back forty. 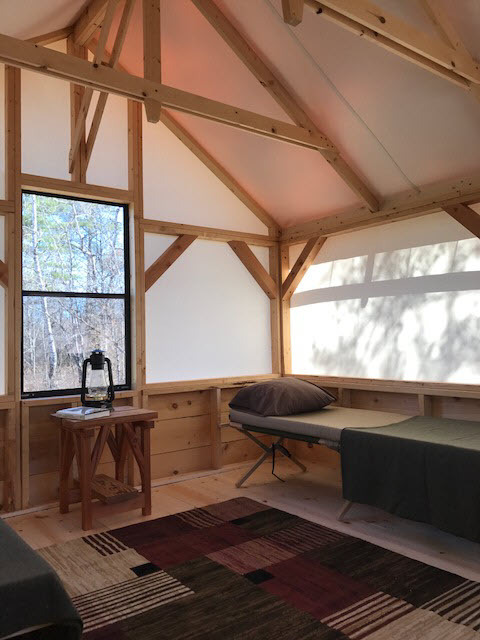 You will appreciate the warmth of the canvas stretched over wood framing as daylight filters through the translucent walls. 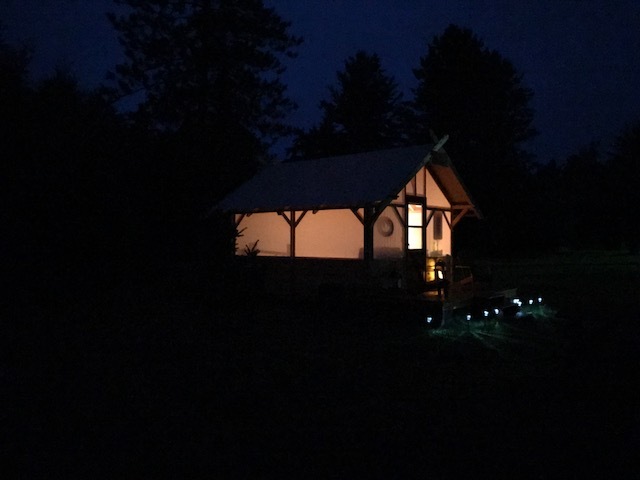 ​​Imagine a night cooking over the campfire with seasoned cast-iron cookware or reading your favorite book by the comforting warmth of a country lantern. At night, the glow of lamps and flickering candles coming from inside the tent cabin light up the otherwise pitch dark woods. outdoor sensory experience." In addition, my tent cabins can be enjoyed all four seasons. That's what makes my tent cabins totally unique!